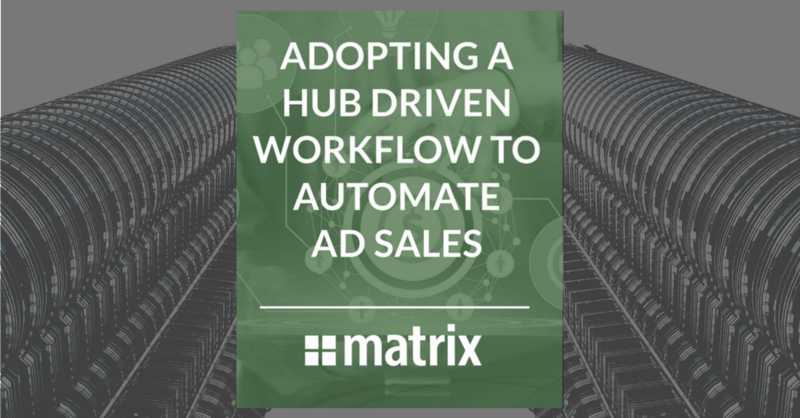 The following is an excerpt from our white paper on Adopting a Hub Driven Workflow to Automate Ad Sales. To download the entire white paper, please visit this page. Enjoy! With each new ad channel introduced into the workﬂow comes its own set of unique challenges, business rules, and analytics. Rather than run away from new ad revenue, it is imperative to understand its potential. Analyzing the ad’s impact holistically will allow for better and smarter decisions to maximizing revenue. Adapting to unique revenue channels is nothing new for media companies who have been doing just that since the ﬁrst digital banner ad was introduced in 1994. However, it is not the added ad inventory that is driving new media advertising opportunities, it's media companies’ ability to reach their audience through mul- tiple touch points. For example, today’s media companies are success- fully monetizing their social media presence. Facebook users are more apt to follow their local news source or media channel, so exposing that fellowship to distribute sponsored content is a clever way for advertisers to ﬁnd new revenue. For local advertisers with a somewhat limited audience, this enables them to instantly extend their brand exposure in the local market. And from the media company’s perspective, reselling social media ads provides them with instant turn-key ad inventory and ready-made analytics from the social media plat- forms. This new workﬂow produces a win-win for the both the advertiser and media company. Understanding that today’s advertising opportunities are both out-of-box and ﬂuid just may be the secret sauce to successful revenue diversiﬁcation. Take for example the Toys R Us sponsorship of April the giraﬀe’s impending birth at Animal Adventure Park zoo in upstate New York. No one from the brand could have predicted the attention that such an advertising move – a live web stream of a giraﬀe giving birth - would produce 300 million views in the span of 2 weeks. 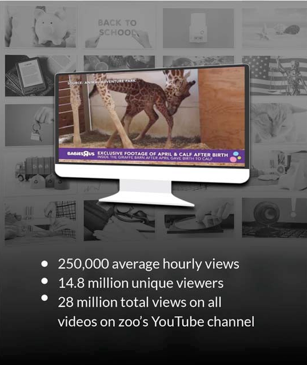 The advertising opportunity escalated when the toy retailer produced their own April the Giraﬀe-themed videos, attracting more than 23 million people to their website. This out-of-the box advertising opportunity was genius from the start, but what further accelerated it was when the brand capitalized on the birth of the baby giraﬀe and the live stream immediately switched over to the company’s sister brand, Babies R Us –complete with selling giraﬀe-themed teethers and more. These kinds of opportunities are what today’s advertisers are thirsty for. But how can modern media companies put themselves in a position to capitalize on such unusual opportunities without wasting resources? Come back next week for the continuation of this article. Can't wait? Download the entire white paper here.